Our Greater Swiss Mountain Dogs are beloved members of our family. 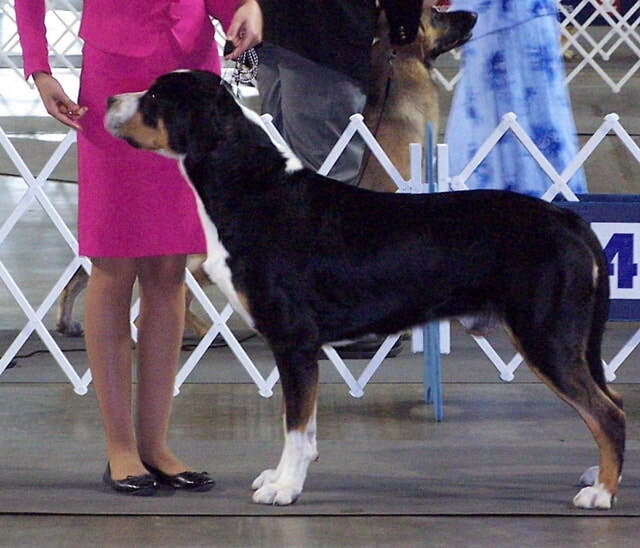 We enjoy competing with them in dog shows along with challenging their working capabilities in other working events to build our bond and provide positive training and socialization. We strive to produce structurally sound, happy, healthy puppies that will become outstanding members of your family while improving the breed as a whole. As a preservation breeder, I thoughtfully analyse pedigree, temperament and test all breeding stock according to CHIC requirements for the breed. These practices contribute to not only the longevity but the quality of this magnificent breed to ensure it's existence for years to come.